With the help of CICF Summer Youth Program Fund and generous donors, Arts for Lawrence is able to provide a limited number of scholarships to cover campers for UP TO 2 week of Summer Art Camp for eligible children. The determination of scholarship recipients is based on factors including but not limited to: 1) Household Income, 2) Household size, and 3) special circumstances bearing on the applicant’s financial situation. Submit this completed application by May 31st. 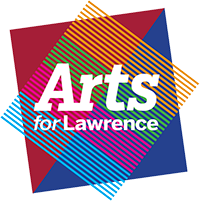 The application may also downloaded and mailed in to: Arts for Lawrence, Attn:Summer Art Camp - 8920 Otis Avenue, Lawrence, IN 46216. Campers awarded scholarships and/or financial aid will be assisted in preparing a hand written thank you to their matched donor. And/or, one piece of the child’s artwork prepared at summer art camp will be left at Partnerships for Lawrence and given to the matched donor. All other artwork will go home with the child. Please fill out the following information to help us better understand your household’s financial situation. If an item does not apply to you, please enter or select "N/A". This doesn’t include basic costs such as rent, food, etc., but extra costs unique to different circumstances and communities. Please further explain any special circumstances listed above bearing on the applicant’s financial need as well as any assistance programs the applicant receives such as Welfare, energy assistance, WIC or school lunch program. This section will not substitute the required Letter of Recommendation. A separate Letter of Recommendation is required for this application to be considered.